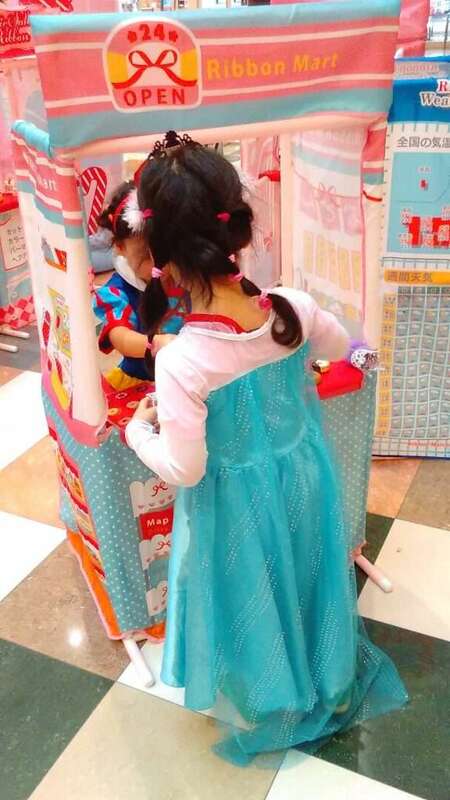 Ribbon Marche is a kids dressing-up and make believe pop up play area that travels around the country. It will visit Peony Walk in Higashimatsuyama for the February bank holiday weekend, from Saturday February 9th to Monday bank holiday February 11th. We have been to a couple of their pop-ups and the kids really enjoyed them when they were preschool age. It is quite small, but the time sessions are only 15 minutes so they won’t bore in that time. If they like dressing up they’ll probably want to stay longer! There are “work” stalls such as a doughnut shop, a doctor’s surgery, a tako-yaki stand etc. Each stand has toys to help the kids make-believe. They have limited costumes for the workshops, but they have other dress up clothes; mainly princess and pirate costumes. THey usually have a stage where kids can use a microphone and stand. 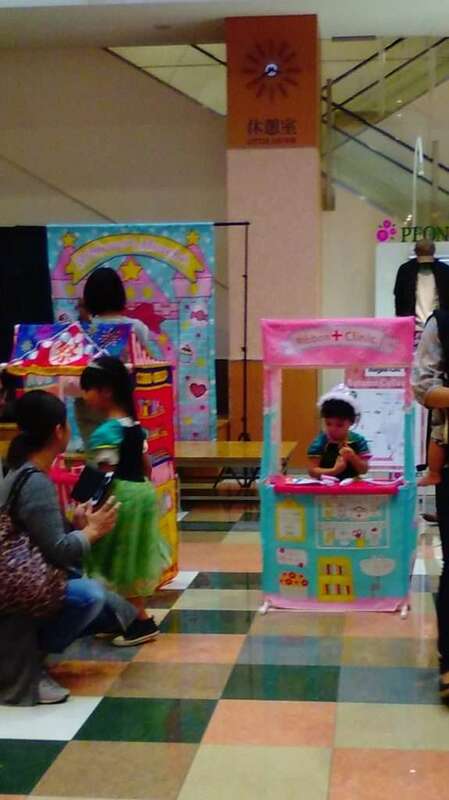 Photos from a previous visit to Ribbon Marche Pop Up Play area, the first time it visited Peony Walk in Higashimatsuyama. Walk or take a bus from Tobu Tojo Line Takasaka station.